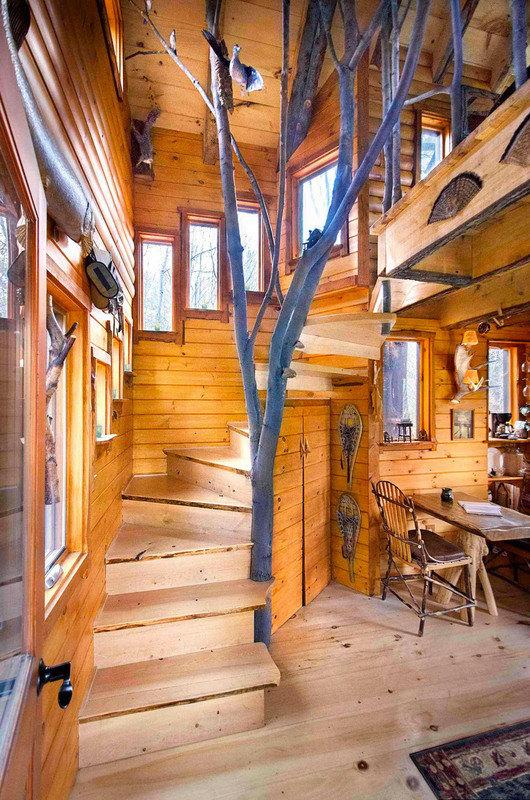 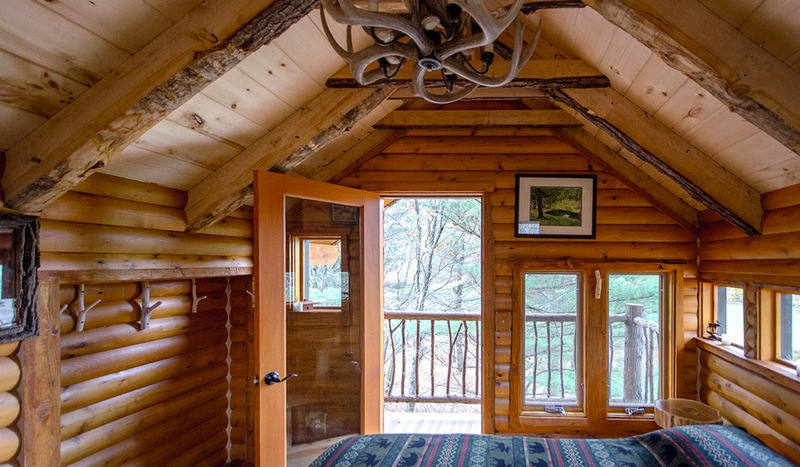 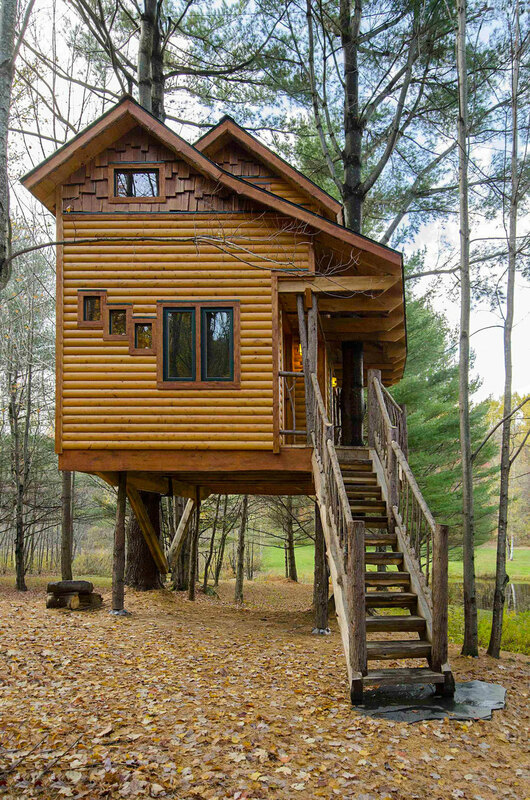 Moose Meadow Treehouse. 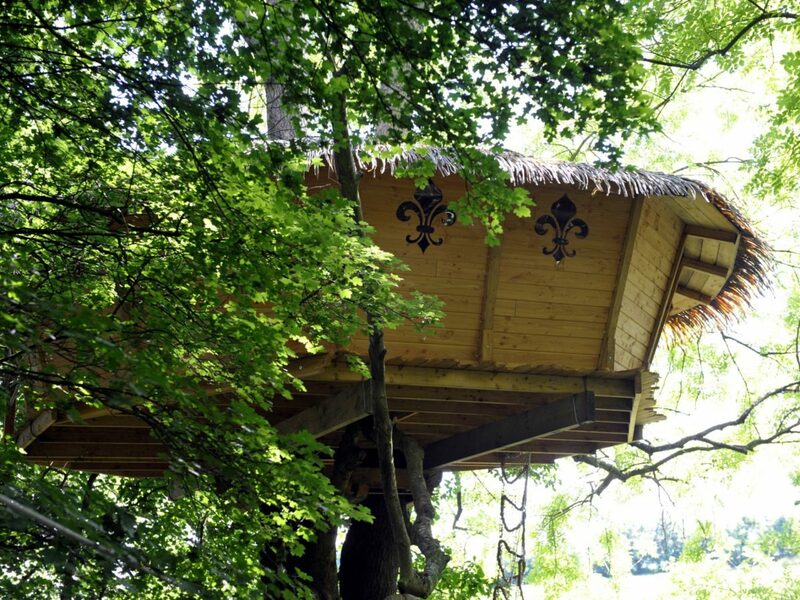 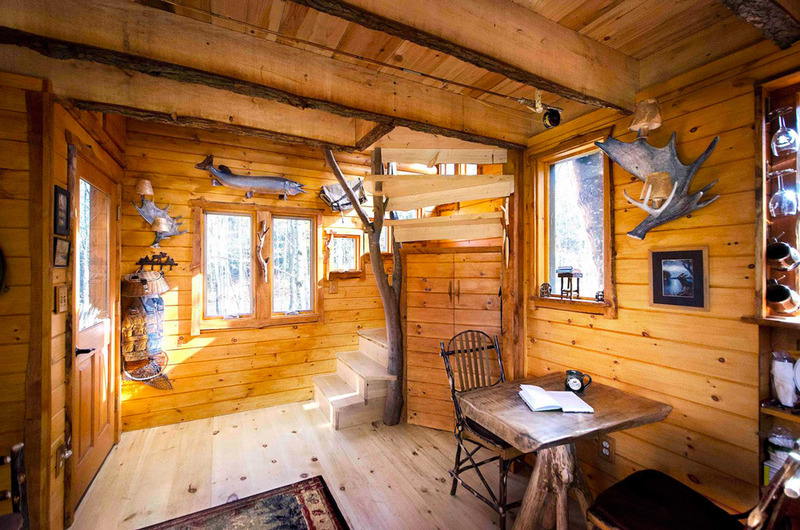 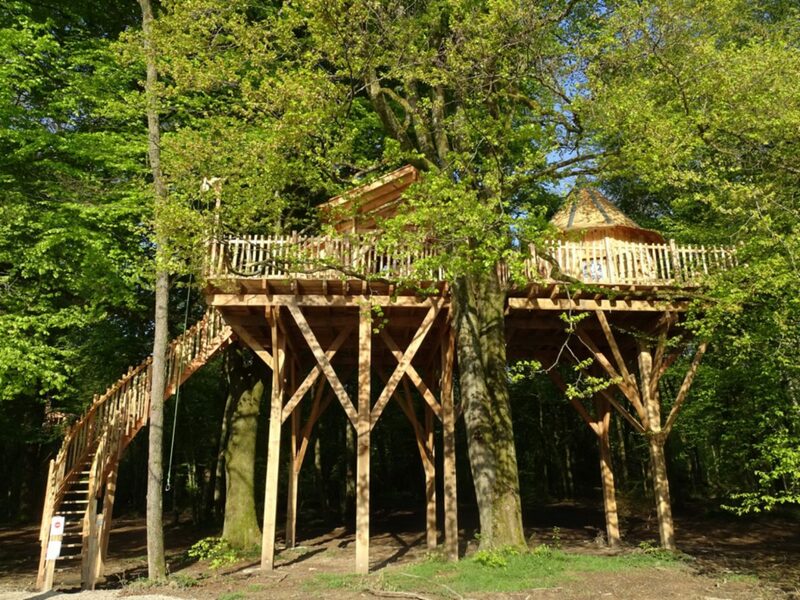 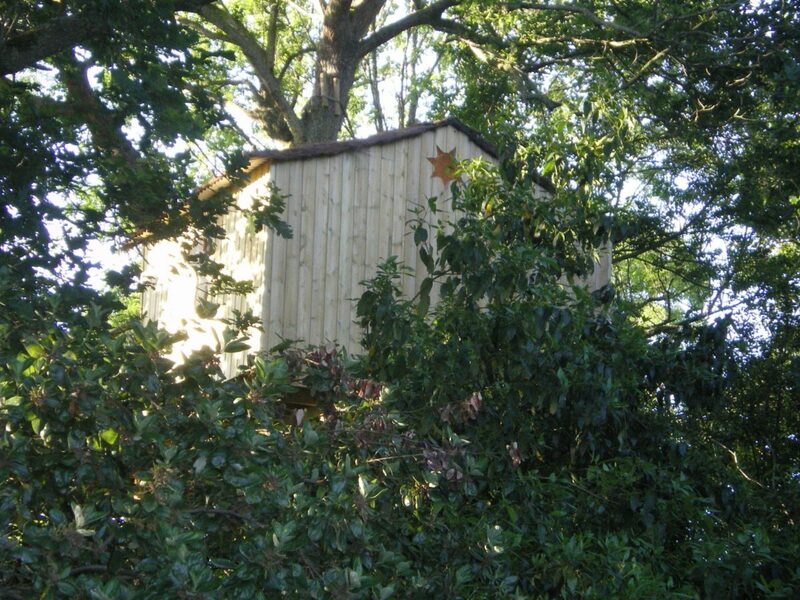 A two-story treehouse supported by two pine trees by the Moose Meadow’s trout pond. 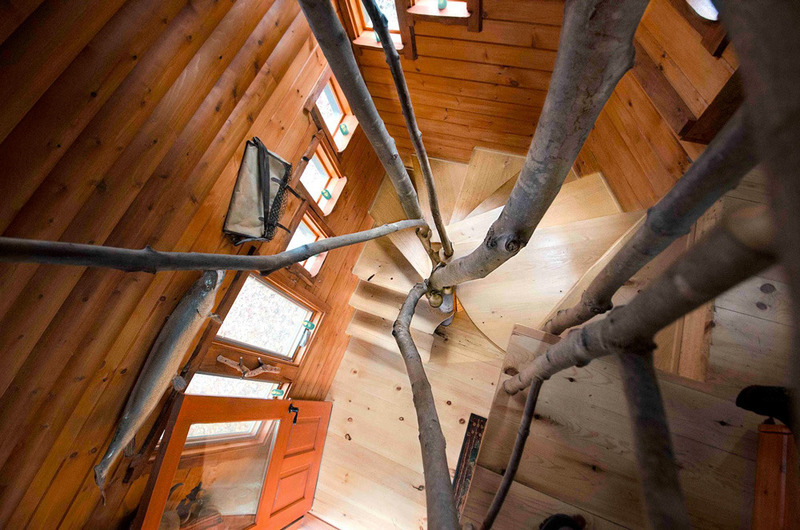 It has 31 windows in order to keep it bright and to maximize the experience of staying above the ground level. 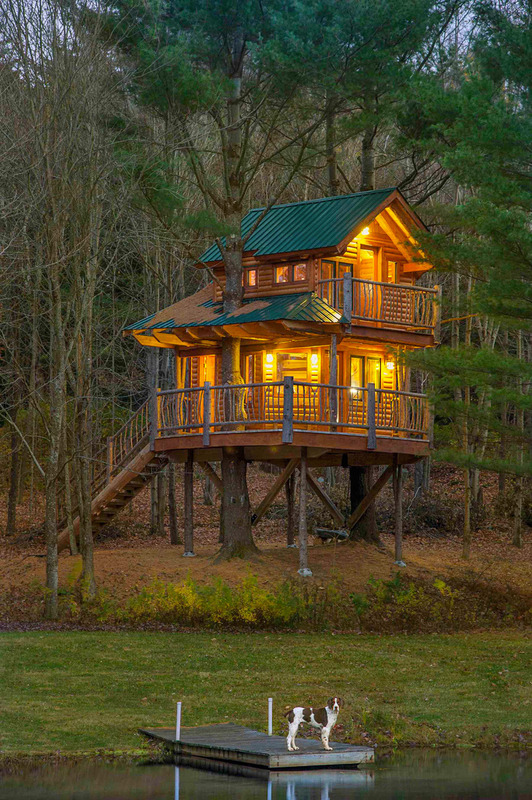 Located in Waterbury, Vermont.